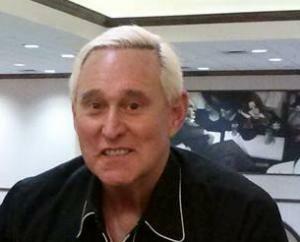 Pot People Boycott Los Angeles Cannabis Expo Over Presence of Trump Confidant Roger Stone. Numerous speakers and exhibitors are boycotting the Cannabis World Congress and Business Exhibition set for September 13 because of the inclusion of former Trump campaign strategist and political dirty trickster Roger Stone. Led by the Minority Cannabis Business Association, more than 30 speakers and exhibitors have pulled out. There is also a Change.org petition calling on event organizers to drop Stone. "Inviting Mr. Stone to speak to the crowd, especially as we see the rise of overt racism and anti-semitism, is an affront to the very movement you purport to promote," the Change.org petition says. Arizona Federal Court Rules Asset Forfeiture Challenge Can Proceed. Last Friday, a federal court ruled that a far-reaching lawsuit challenging the profit motive at the core of Arizona's civil asset forfeiture law can move forward because the plaintiff has properly asserted that policing for profit violates her constitutional rights. The case was filed by the ACLU, the ACLU of Arizona, and the law firm Perkins Coie on behalf of Pinal County resident Rhonda Cox, whose pickup truck was seized and kept by local law enforcement even though she was never convicted of a crime. "For too long, Arizona's civil asset forfeiture laws have motivated law enforcement officials to line their pockets rather than fight crime," said Emma Andersson, staff attorney with the ACLU's Criminal Law Reform Project. "The court's order is a huge step towards protecting our client from this perverse system that is fundamentally incompatible with the right to have due process before the government can deprive you of your property." Seattle Safe Injection Site Supporters Sue to Block King County NIMBY Initiative. Safe injection site supporters have filed a lawsuit to invalidate an initiative that would ban the facility in suburban King County. Under a plan supported by local officials, the Seattle area would see two such facilities, one in the city and one in the county, but Initiative 27 would ban them in the county. In the lawsuit, site supporters argue that citizen initiatives should not override public health decisions. Unless the lawsuit, filed by a group called Protect Public Health, is successful, the initiative will go to voters in February. Initiative supporters had sought a November vote, but slow action by King County officials resulted in the initiative not being certified in time for a vote this year. 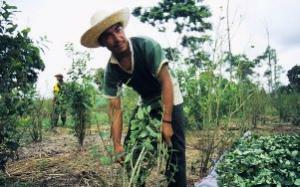 Paraguay Marijuana Production Surging. It's long been "the Mexico of South America," given its history of mass producing low-quality marijuana for consumption by wealthier neighbors, but a new report from the country's National Anti-Drug Secretariat says pot production is booming, and it blames poverty and a lack of viable substitute crops. Authorities there have seized 1.4 million pounds of pot this year, more than double what they seized last year. Bay state lawmakers come together on implementing marijuana legalization, Jeff Sessions signals a ramped up asset forfeiture effort, DanceSafe is offering fentanly test strips, and more. Massachusetts Lawmakers Reach Agreement on Legalization Implementation Bill. Lawmakers announced Monday they had agreed on a rewrite of the state's voter-approved marijuana legalization law. Under the deal, taxes on pot could reach 20% (up from the 12% approved by the voters, down from the 28% proposed by the House). The measure, House Bill 3818, also addresses the issue of local control by requiring jurisdictions where a majority voted for the initiative to hold a popular vote before banning marijuana businesses; jurisdictions that didn't favor the initiative could ban such businesses without a popular vote. Pennsylvania Auditor General Renews Call for Legalization. Auditor General Eugene DePascuale (D) came out in support of marijuana legalization earlier this year, and he was at it again this week. Now, he's arguing that legalization could help in fighting the opioid epidemic. "So the connection I'm drawing there is: there are times when there are going to be people who will smoke marijuana as a way to reduce their pain," DePasquale said. "The ideal would be for nobody to have any pain, but that's not reality. In many instances, marijuana is a much safer alternative than opioids." 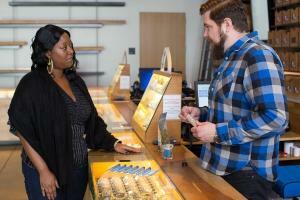 San Francisco Creates Office of Cannabis for Pot Businesses. The city has taken initial steps to create a new Office of Cannabis to handle marijuana permits and complaints and serve as a clearinghouse for the public and pot businesses. It will be responsible for creating and managing the permitting process for all pot businesses, as well as providing policy analysis and serving as the main point of contact for businesses, state regulators, and the public. Attorney General Sessions Wants to Ramp Up Asset Forfeiture in Drug Cases. 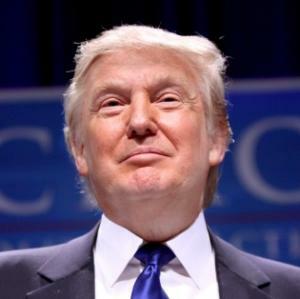 Attorney General Jeff Sessions said on Monday that the Dept. 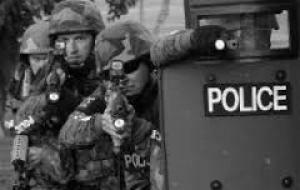 of Justice will seek to increase the use of asset forfeiture by state and local police forces. Sessions said in prepared remarks for the National District Attorney's Association meeting, "We hope to issue this week a new directive on asset forfeiture -- especially for drug traffickers. With care and professionalism, we plan to develop policies to increase forfeitures. No criminal should be allowed to keep the proceeds of their crime." 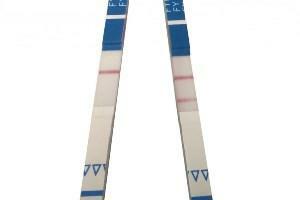 DanceSafe is Now Offering Fentanyl Test Strips. The rave culture-oriented harm reduction group has studies various fentanyl detection strips and found that one offered by Canadian company BTNX was most effective at detecting the synthetic opioid and its analogues. It is now offering those strips for sale via its website. Click on the link for complete information.